Today has been all about lighting and getting knitting to lie flat. 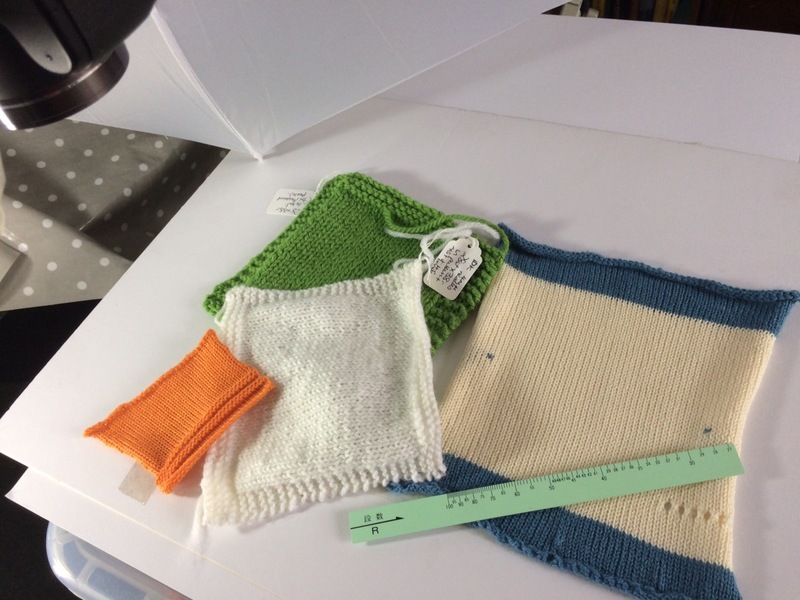 Every knitter knows how annoying the stocking stitch roll can be, and we are resorting to the tricks and tips the lovely photographer I worked with on The Knitting Book taught me. So far have managed to get some nice clear shots. I am loving daylight bulbs, as it&apos;s a bit cloudy today. This morning&apos;s photos were mostly about shaping and tension swatches. This afternoon it&apos;s colour techniques. Chapter Nine is nearly finished. One particular section on shaping calculation has been knotty. It&apos;s been proofread now and apparently I have made it really clear. Let&apos;s hope so, sleepless nights pondering how to describe sleeve head shaping seem to have paid off! Back to the shoot now, but before I go, here&apos;s a camera-eye view of today&apos;s efforts.